As a family who loves to bake, it is exciting to see the different find of paleo-friendly flour alternatives that are hitting the market these days! 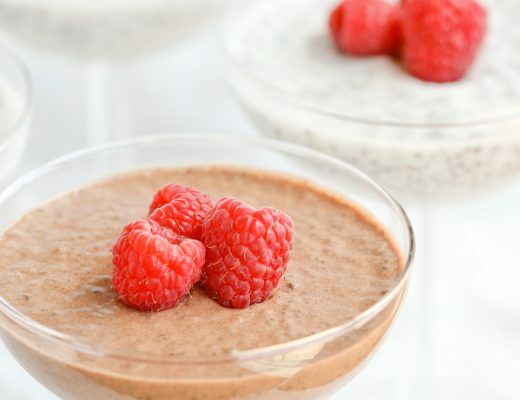 I mean, there was a time when our sunflower seed flour was a saving grace to those who can’t have almonds, and now you can widely find cashew flour, arrowroot, tapioca, cassava, and just recently tigernut flour has been gaining popularity. While we haven’t dabbled much in the use of tigernut flour yet, we are excited to see the recipes that others have been creating with this ingredient as the all-star. And we hear great things about this 1:1 flour substitute for what it offers in flavor, texture, and ease of use. Here today to tell you a bit more about using this flour in the kitchen and to share a recipe featuring tigernut flour is Martine from Eat Heal Thrive. 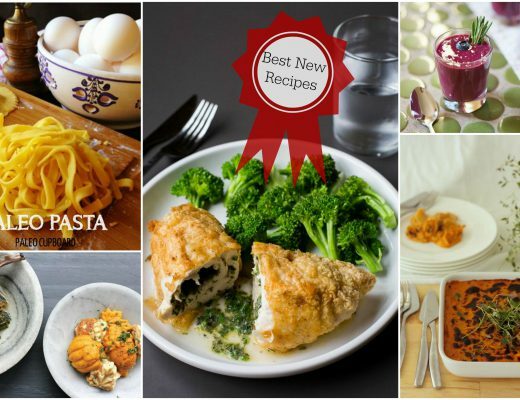 Be sure to check out her crazy awesome list of recipes on her site (many of which are AIP friendly), and enjoy the post below! I get jazzed about gluten-free and grain-free flours. But I’ve come to appreciate the value of not just grain-free flours but also of nut-free flours. Constitutions are different, and not everyone can tolerate nuts. So, yeah, I get totally jazzed about grain-free and nut-free flours . . . like tigernut flour! I first became aware of tigernuts about a year ago when I started seeing like-minded bloggers use them in their recipes. The name tigernut is a bit of a misnomer because this wee little edible wonder (also called the “earth almond”) is not actually a nut but rather a small tuber. Organic Gemini, the brand of tigernut flour I used in this recipe, supplies an excellent quality and array of tigernut products. Be sure to head on over to Organic Gemini’s site for more information on the nutrient density of tigernuts – they pack a nutritional punch! Tigernuts are high in fiber, iron, and potassium, to name a few benefits. But what gets me super stoked about tigernuts is their prebiotic boon. Tigernuts are a good source of resistant starch, and, as such, feed those 100 trillion amazing teeny tiny helpful bacteria that make up our microbiome. Science is quickly learning that the human microbiome is the cornerstone of mental and physical wellbeing. So cool, right? 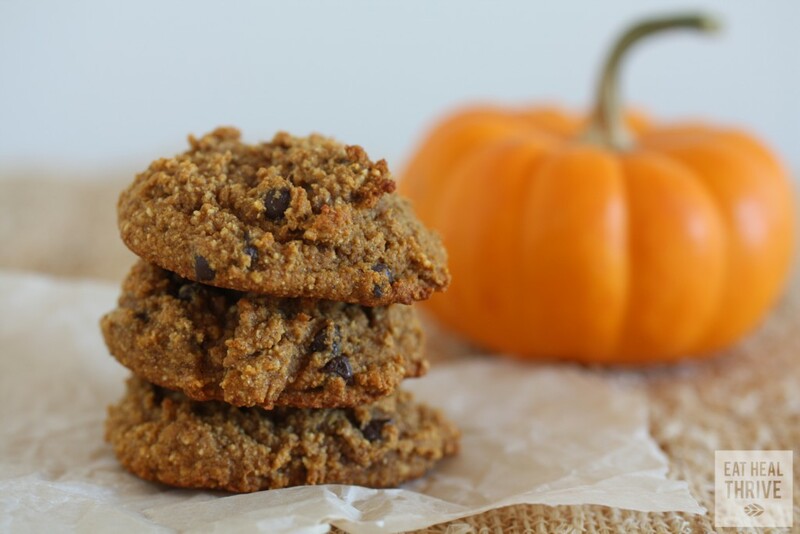 I’m pleased to share this recipe for Tigernut Pumpkin Cookies here at The Paleo Parents. 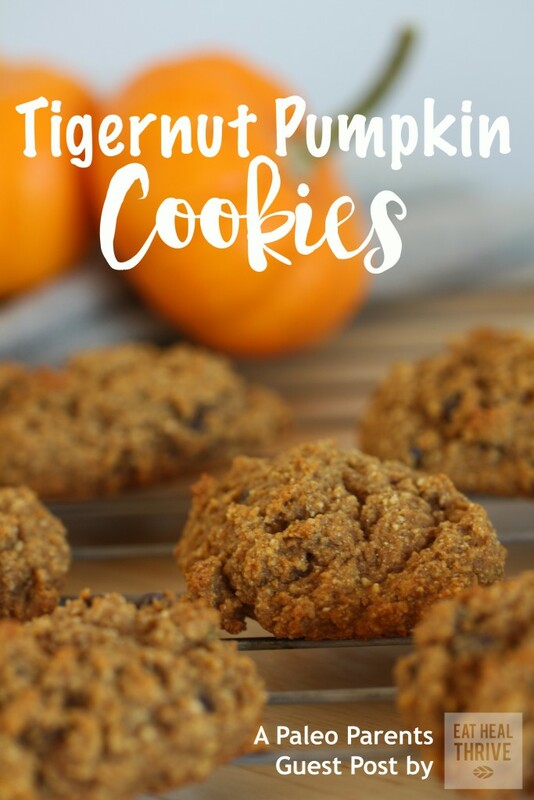 This cookie showcases the yumminess of tigernuts (slightly sweet and subtly nutty) and their nutritional and prebiotic value, not to mention that ‘tis the season to #pumpkinallthethings. 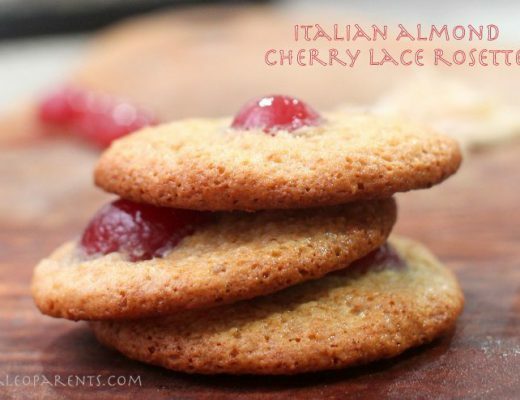 So happy nomming on these scrumptious cookies! In a small bowl, mix together the tigernut flour, cassava flour, baking soda, cinnamon, ginger, and sea salt. In a medium bowl, using an electric mixer, cream the shortening, honey, and vanilla. Mix in pumpkin purée. Add the egg and combine all the wet ingredients. Add the flour mixture to the creamed mixture to combine dry and wet ingredients. Stir in the optional chocolate chips. Drop by rounded teaspoons onto prepared baking sheet. Bake for 10-12 minutes. to a wire rack to completely cool.